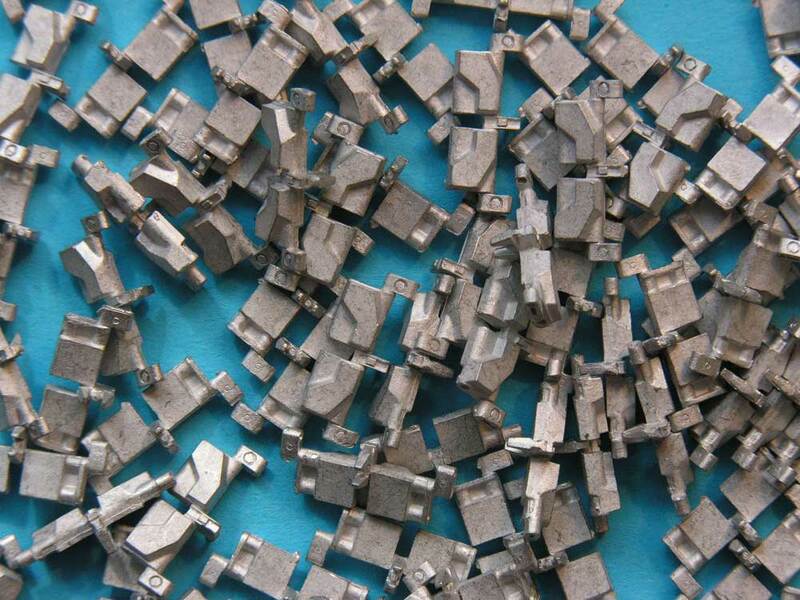 Media: White metal, individual links with wire 'pins'. Sprockets included. This has taken quite a long time. I approached Fruilmodel eighteen months ago with the idea of developing the initial production tracks for Leopard 1. 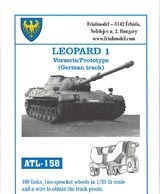 Having just visited Koblenz in July 2013, where they have a wall display of the all of the different tracks developed during Leopard 1 development, I came away with lots of photographs and measurements. 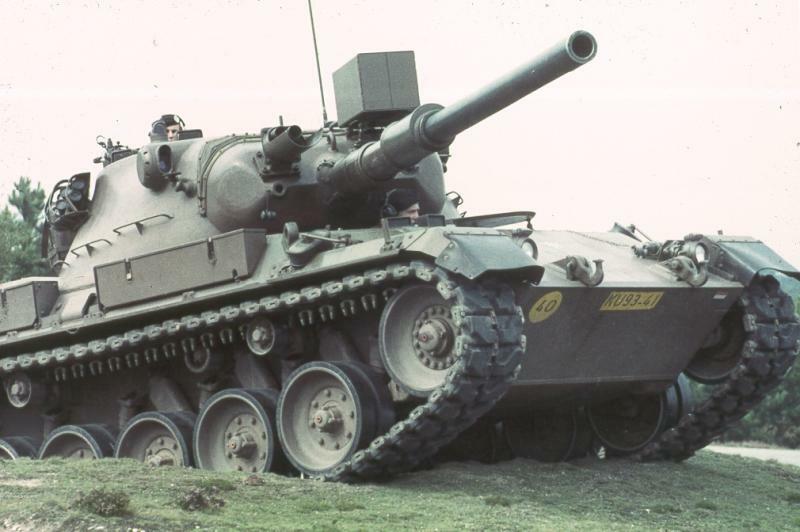 One of my favourite Leopards is the very first production batch Leopard 1- possibly the purest Leopard of all. I started modelling one a long time ago. 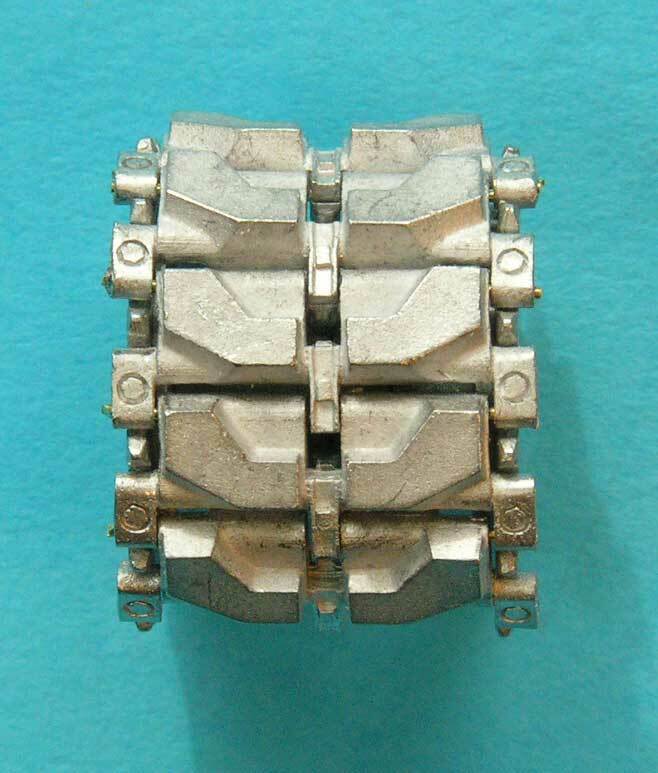 Apart from cheating by using a set of AFV Club M26 tracks which are too wide and not strictly the correct pattern, what was I to about those early tracks? It is true that Perfect Scale Modellbau produce resin individual link D139E2 tracks, and I did try to use them, but I found them horrible to work with, too delicate, poorly engineered, and with an incorrect chevron pad pattern. Sorry Gerold! Armed with my photos and measurements I thought I would try to persuade possibly the best - and certainly the most well-known - model track producers around. Well, he we are with a result! On their box top, Fruil rather inaccurately describe these tracks as Vorserie (first series)/Prototype tracks. Granted that Series 0 (the final 50 pre-production series) used them, but there is no available kit of this beast. Most usefully, these tracks represent the first production type which, as I say, have not been accurately represented in 1.35 scale until now. 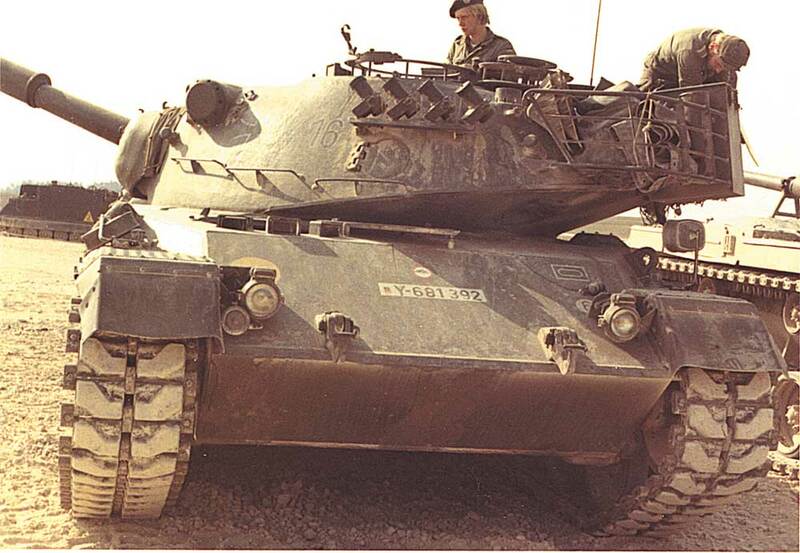 The Diehl D139E2 followed the same pattern that had been set on all American battle tanks from M26 through to M48. 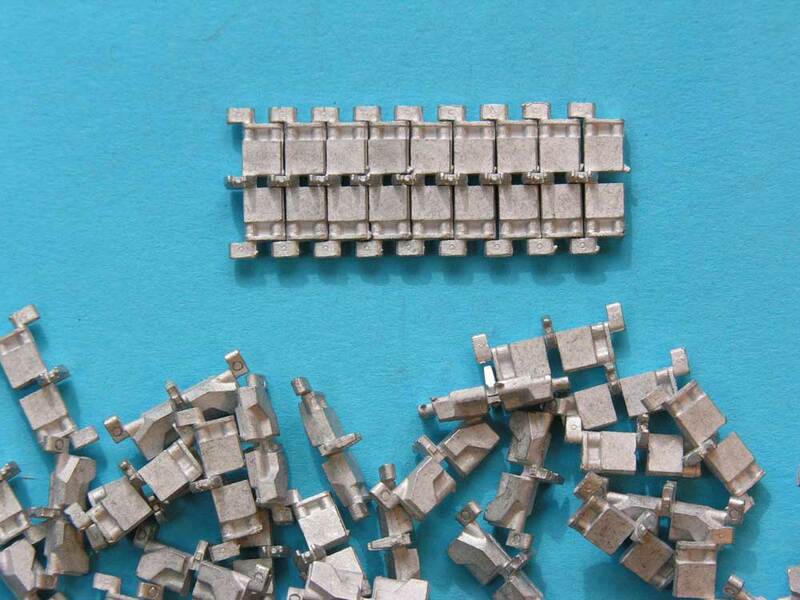 D139E2 was made up from 84 links on each side. 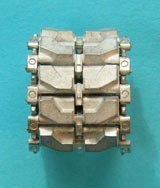 The tracks were faced with non-removable chevron-shaped rubber pads held together by rubber bushed end connectors and centre guide horns. 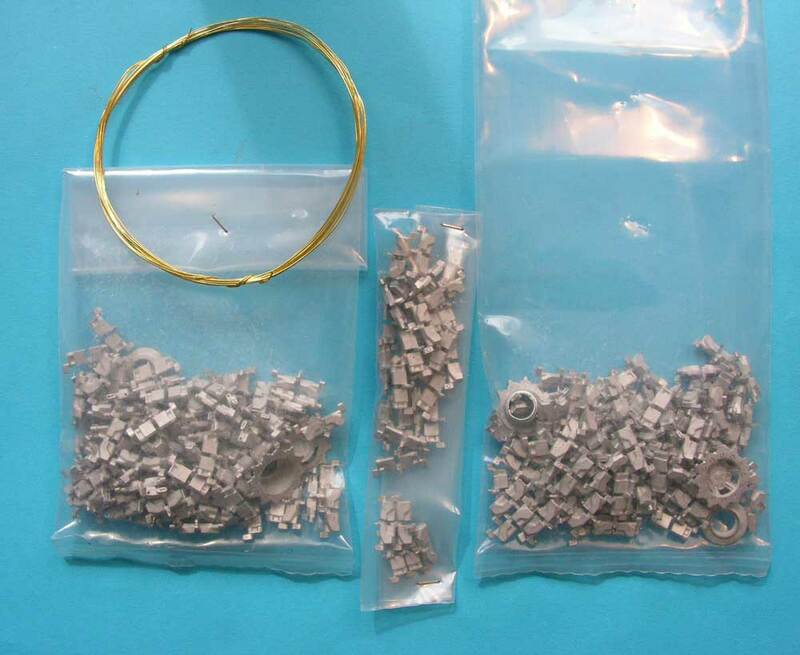 By coincidence, Live Resin have also recently released a clip-together set of the same tracks in resin (reviewed here) and Revell are set to release an early Leopard 1 kit later in 2015, so we now have plenty of choice where there was little choice before. 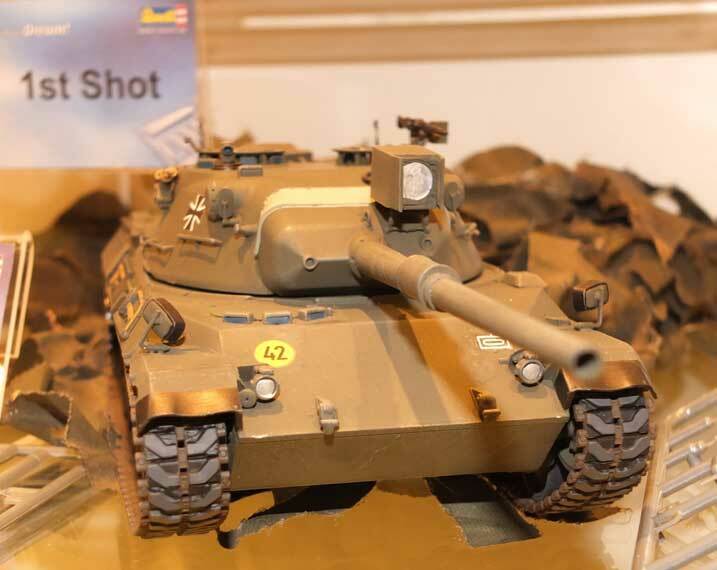 The Revell tracks on the test shot they showed at Nuremberg Toy Fair are vinyl, of course, so many modellers will appreciate this easier alternative. Inside a small cardboard we get three stapled plastic bags, a coiled length of wire and two small instruction sheets. Compared to the Live Resin tracks, the overall package is quite weighty as the individual links are beautifully cast in white metal. Why three bags? There are individual bags for each side (though the links are identical) and a third smaller bag with links with angled end connectors. 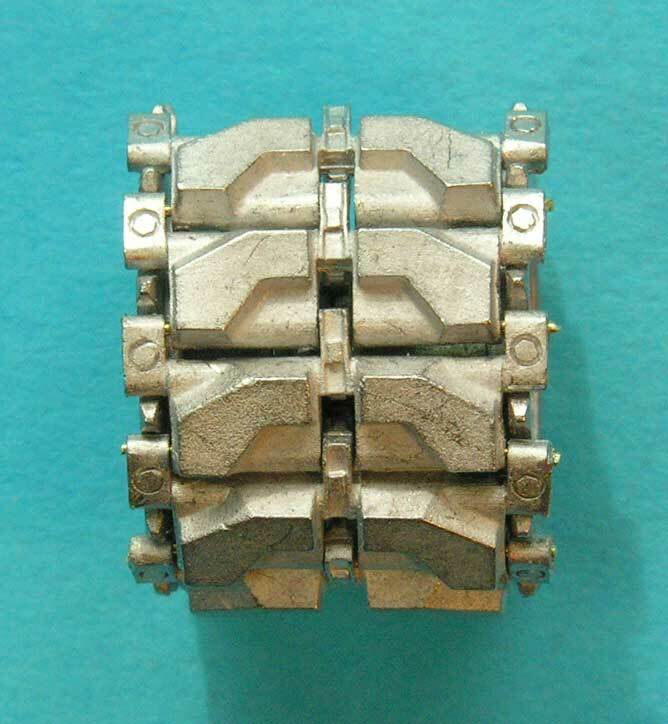 Here we can have NO complaints about the connectors not looking right because they are all cast in a straight line! 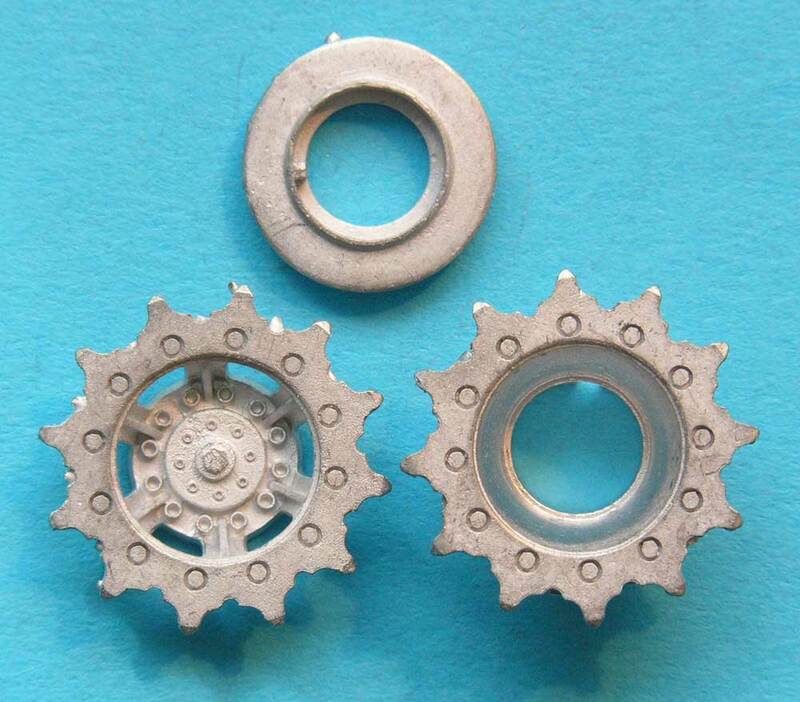 Also included are white metal sprockets with the correct early eight-bolt hub and circular central guide. They are very cleanly cast. Only a very small amount of clean up is needed and the instructions advise that the holes be cleaned out with a 0.5 mm drill. This is the work of a moment, so don't be psyched out about it. I put a small length together in the photo below without any clean up, so you can see how clean the casting is. 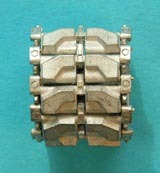 Only 3.5 mm of wire is needed to form the links, one piece into either side. The wire DOES NOT go all the way through. After drilling out the holes, take the uncut wire loop and push fit the wire through the end connector into the trackpad behind. Snip off the wire as close as possible. I used a plastic sprue cutter which worked perfectly - the wire is soft and won't damage your cutters. Repeat on the other side. Add a tiny spot of super glue to prevent the pin from falling out. With careful gluing, the tracks remain workable and will not fall apart - one advantage of metal over plastic or resin tracks. With the sprockets being supplied with the kit, there are no worries at all about the tracks fitting the kit sprockets. 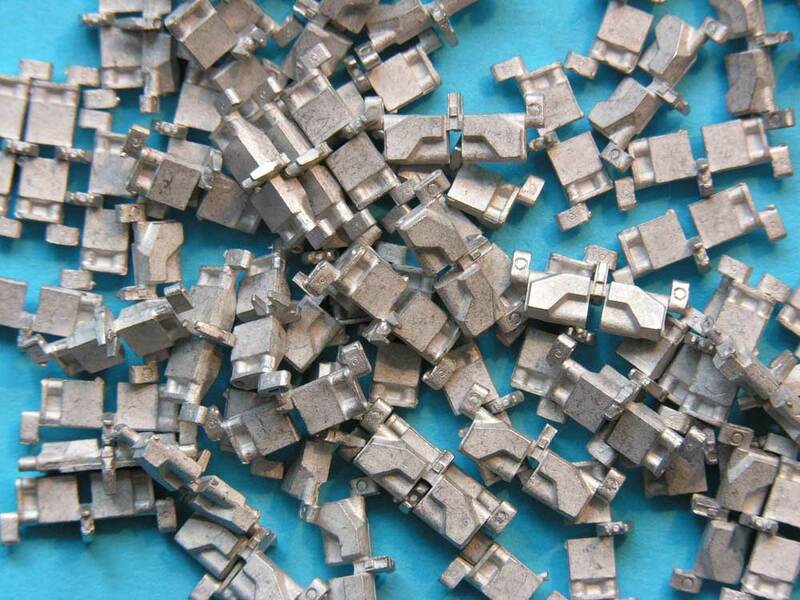 Do the angled connectors from the small bag work? Yes, they do! The only problem might come when fitting the last link to your model where the track might be a little loose or a little slack. You will have to use your modelling ingenuity to make the idler adjustable as Leopards have no slack in their tracks at all. It has taken a while, but now we have two alternative, very good quality D139E2 tracks from Live Resin, and now from Fruilmodel. Which is best I think depends on the modeller's preference for which medium the links are made of. 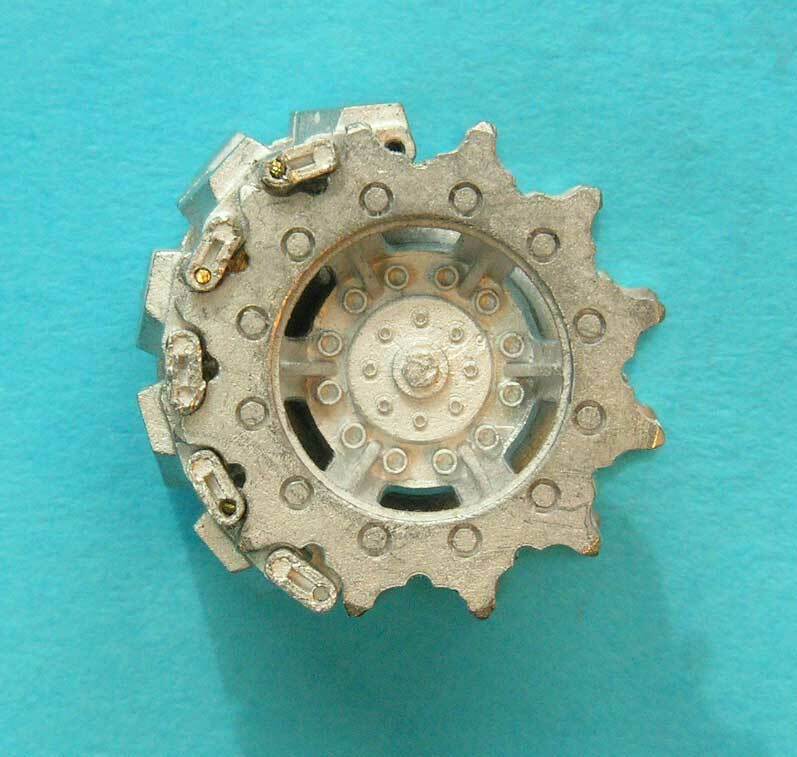 The advantage of the Fruil tracks is that the sprockets come with the kit and they have the correct hubs (neither of which Live Resin score on). They also fit together tighter with less of a gap between links, so I have given them an extra 5% over the Live Resin tracks. Many thanks go to Guiseppe Puppato of Fruilmodel for designing and supplying the sample tracks.